For Autumn-Winter ’15, the Basket returns to the streets in a fresh monotone, white-on-white execution. In the '60s, the Basket was one of several PUMA warm-up shoes to declare a new era on the basketball court. 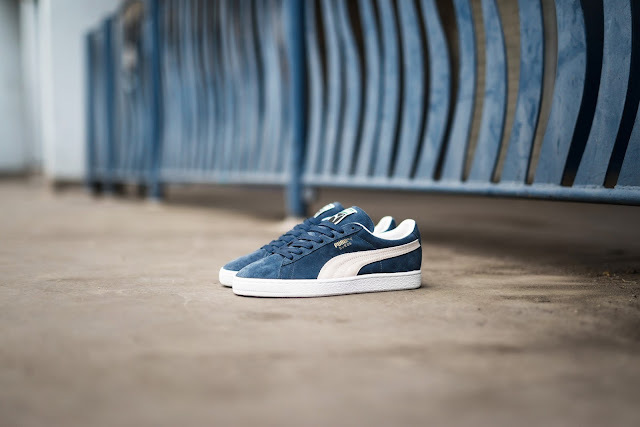 A bona fide brother of the PUMA Suede, it rapidly moved its way up the style roster by opting for all-over leather. The Basket scored through many a practice round and pick up game and was later adopted by the hip hop scene – turning those swift basket dunks to funky funk beats and transforming an everyday court classic into the most debonair of pop culture legends. 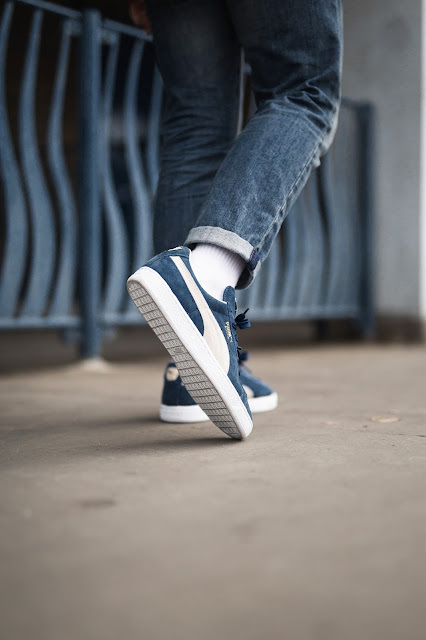 With the inclusion of a breathable EcoOrthoLite sockliner for optimum fit, this classic silhouette exhibits its stylish look while maintaining its practical elements. Leather uppers with perforated detailing at mid-foot partnered with lace closure for a snug fit ensures that the Basket holds its iconic look. A grippy rubber outsole harks back to the shoes legacy of basketballs courts and running tracks.